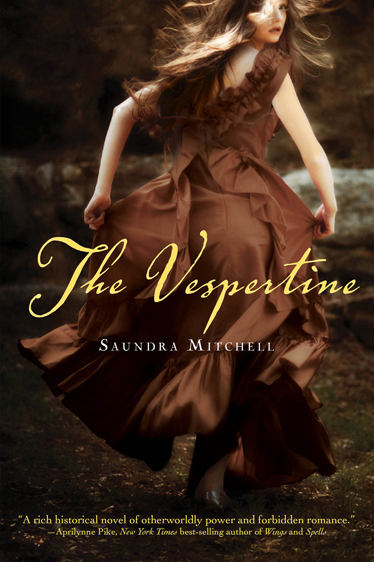 I just loved this historical, paranormal ya fiction book. This impressive summary doesn't cover the half of it. For the greatest part this book is an incredible romance. The speech and the secret meetings the dances and the balls and the gentlemen.... it is just fascinating! There seems to be really deep feelings developped between Amelia and.. him (I won't give away his name). They also seem to have a secret communication beyond the confines of space, which is very interesting and adds a touch of mystery to their relationship. Of course, as you can judge from the description, there is a rather strong element of tragedy -and in some instances gore- so be prepared for that. It was not enough to dim my enjoyment of the book, however. Now about the vision thing. To me at least it was not very clear. It was not entirely developped -perhaps in order to preserve an air of mystery on the whole thing. And it was not clear what its purpose was in the book, I mean it didn't lead anywhere specific. On the other hand, seen as a metaphor for a characteristic than makes one different and interesting in society, it was very interesting. Because these visions at first earned Amelia a place among the best and most respected in Baltimore's society. But as soon as things started to become unpleasant... everyone turned against her within seconds. Now that's something that happens in our society too, a really modern occurance, and I was very interested to read about it and to see where it would go. There weren't any boring period details in this book, which I appreciated, but still it managed to give out an ambience of the time and place. I think it takes a really good author to be able to do that. The whole book left me with a sweet taste on my mouth, or rather with a taste of hope, in spite of the pain and tragedy. It left me with a sense of victory and independence even in the face of adversity. You have to appreciate that in a book. I read this book in the NetGalley, and I think I will buy it as well. I would love to read it again. Great review. I got this book from NG too and I'm excited to start reading it. Loving the sound of it.